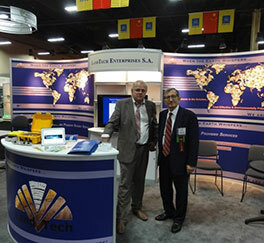 Professors Akis Tselentis and Oz Yilmaz at LandTech’s Booth during SEG 2012 Lass Vegas annual meeting. 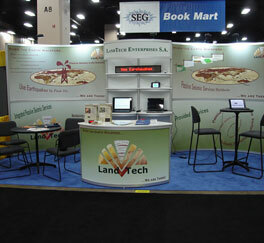 LandTech’s booth at SEG 2012 Lass Vegas annual meeting. 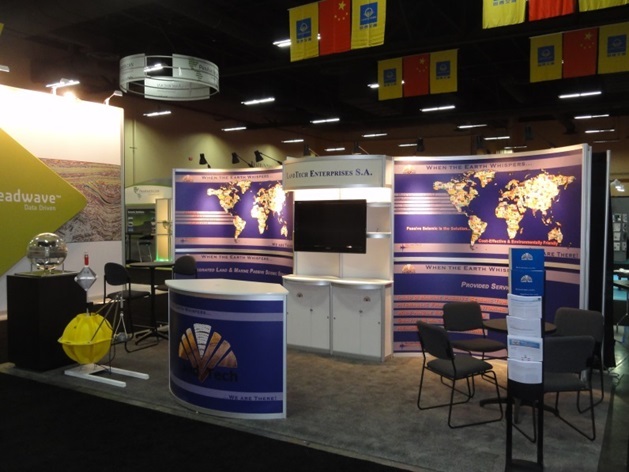 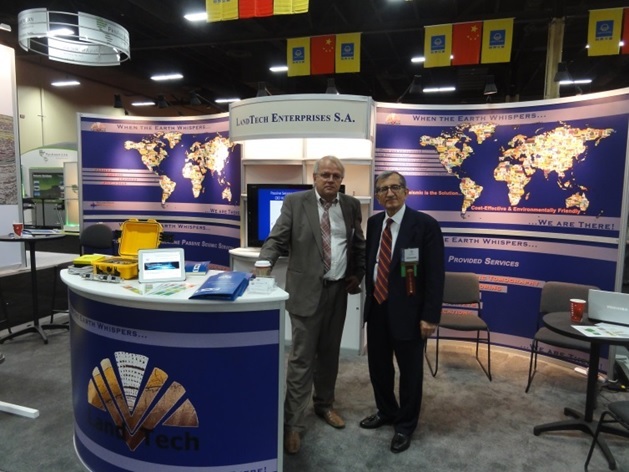 LandTech’s booth at SEG Las Vegas 2012 with the new Ocean Bottom Seismograph (to the left) which was introduced for first time. 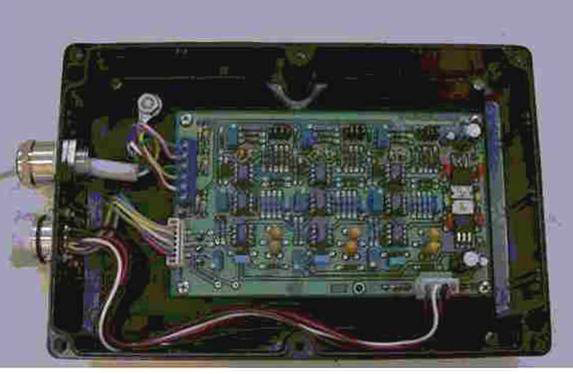 Instrument capsule (glass) and protecting capsule (yellow plastic) can be seen. 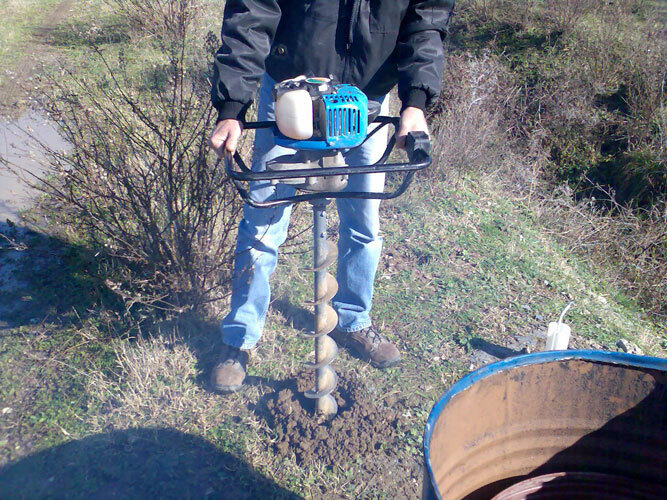 Drilling a small hole to install the S100 sensor. 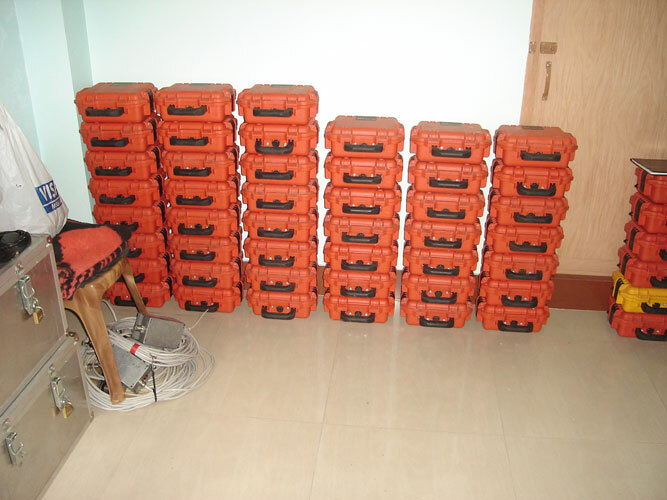 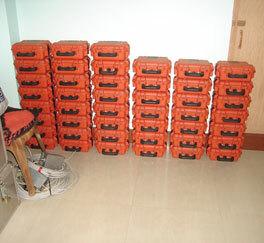 A number of Seismographs ready to be dispatched to a new project location. 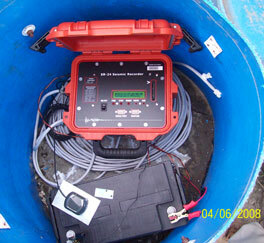 Seismograph installed in a barrel vault together with battery. 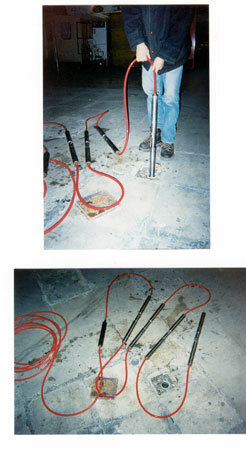 View of installed equipment vault. 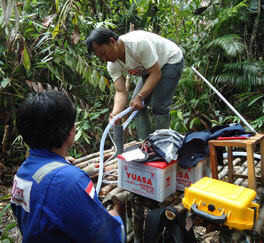 Testing seismometer and digitizer in the field. 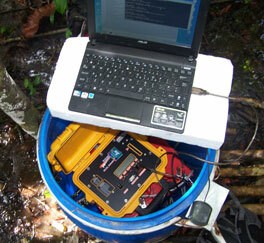 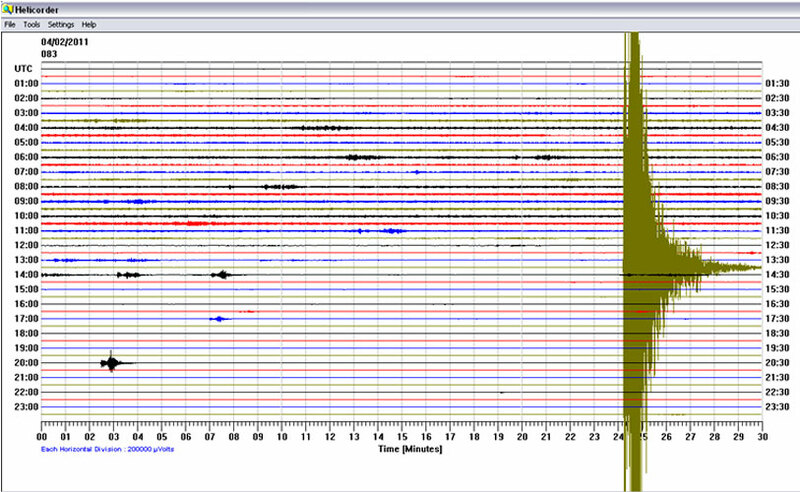 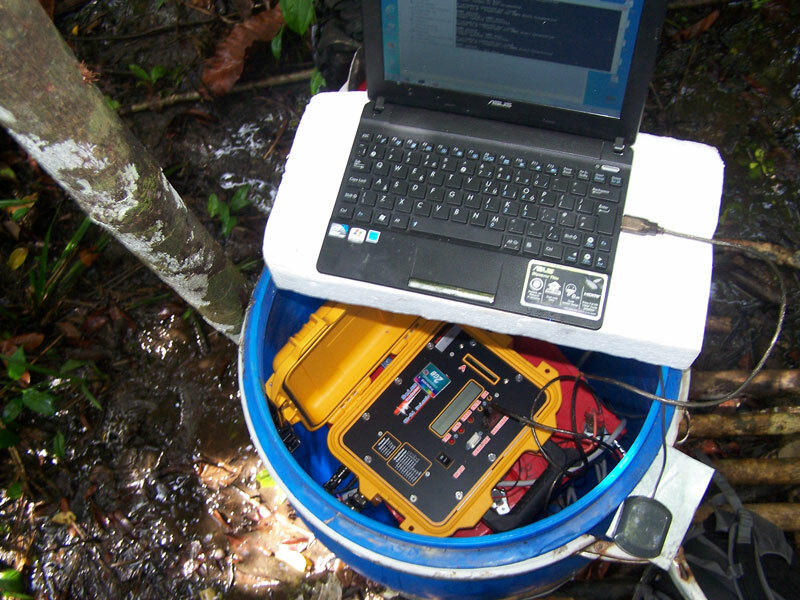 Testing signal from seismometer in the field. 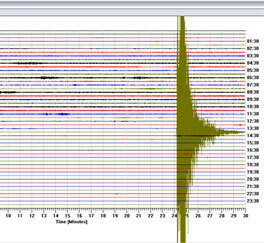 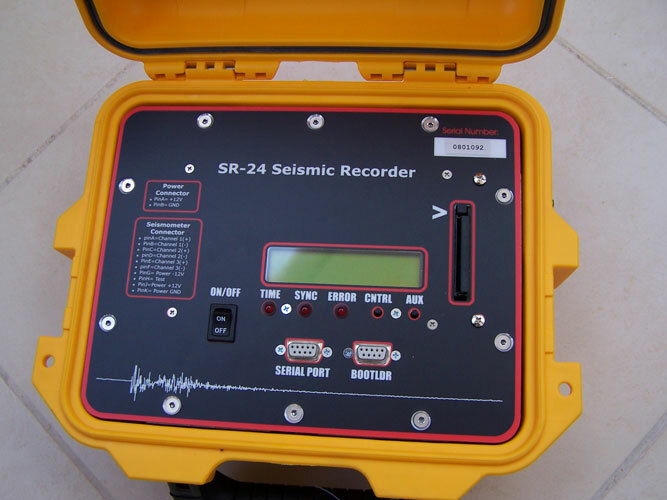 Example of a recorded earthquake. 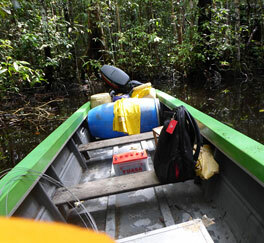 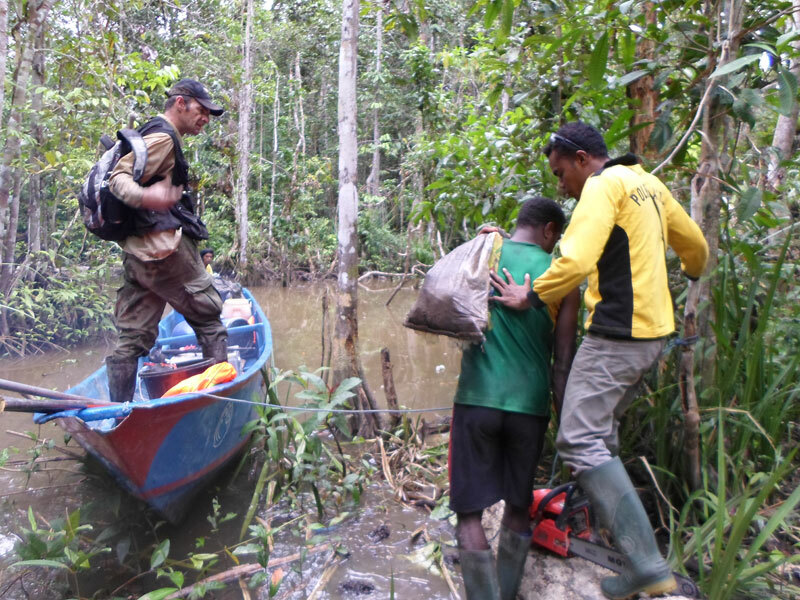 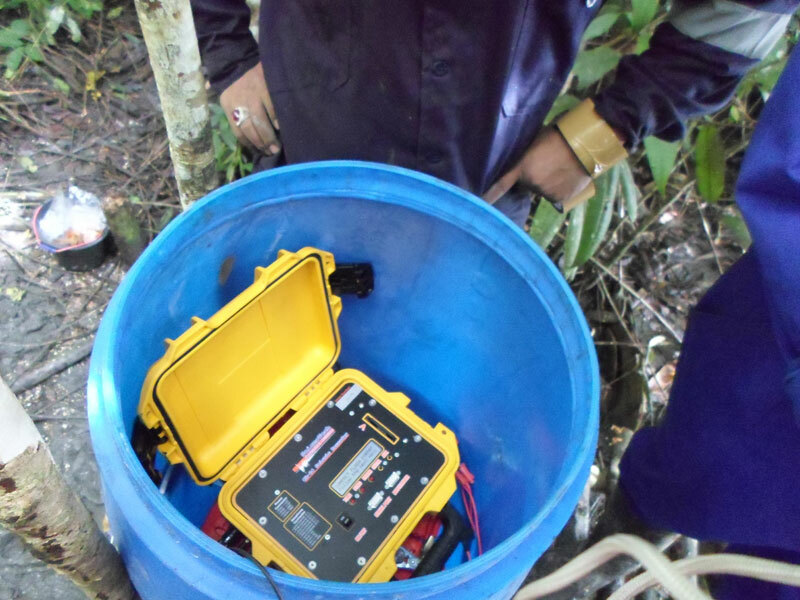 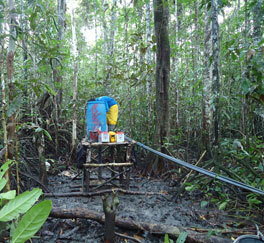 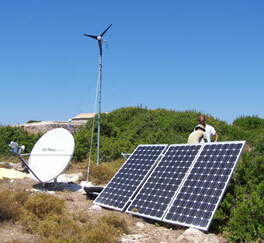 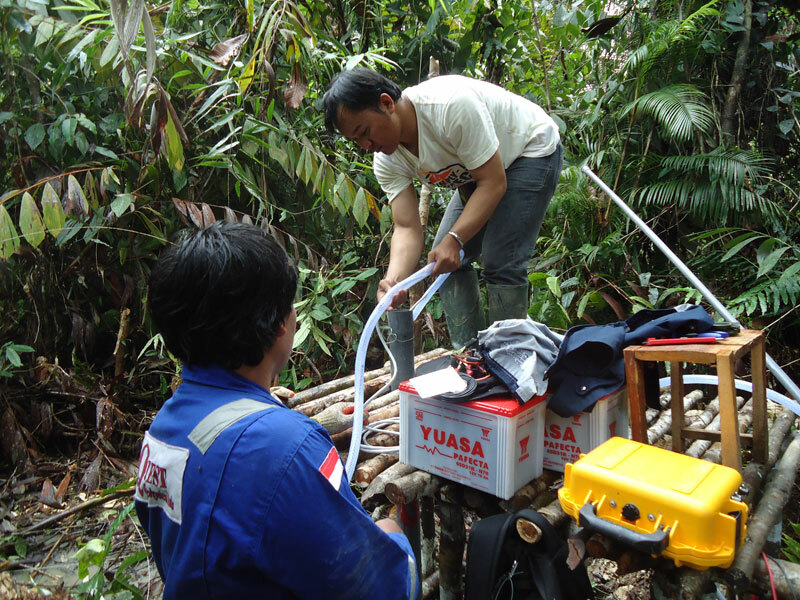 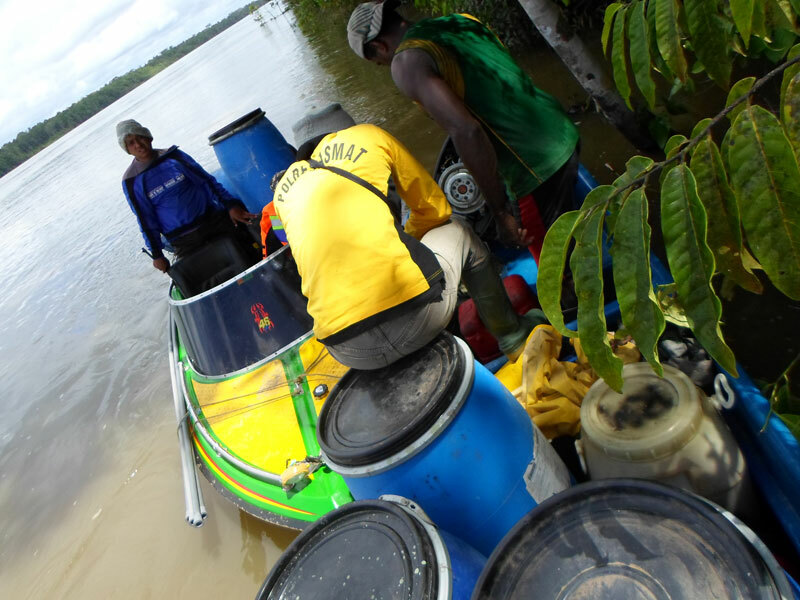 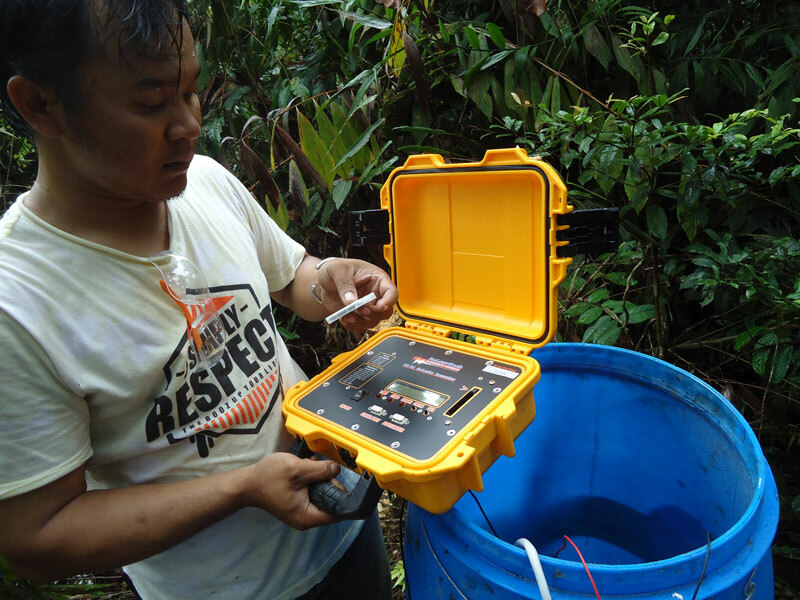 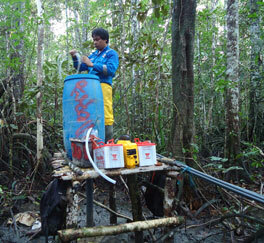 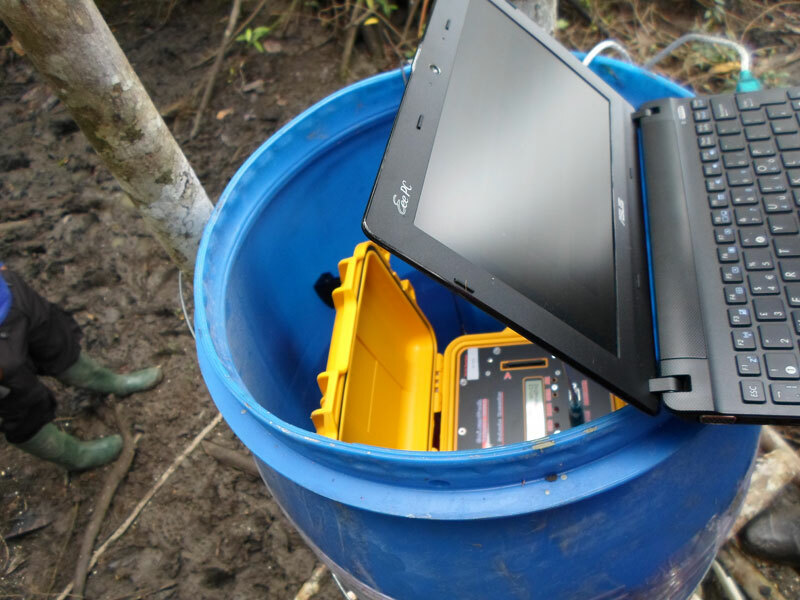 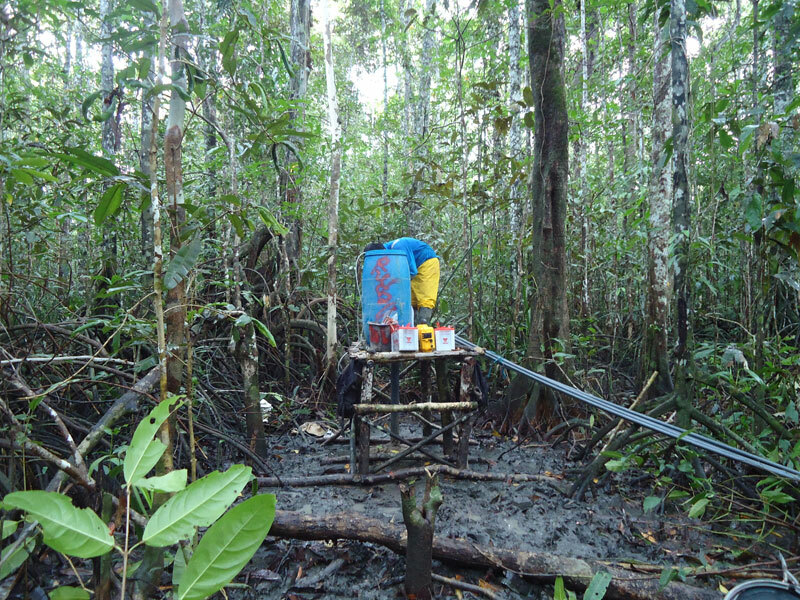 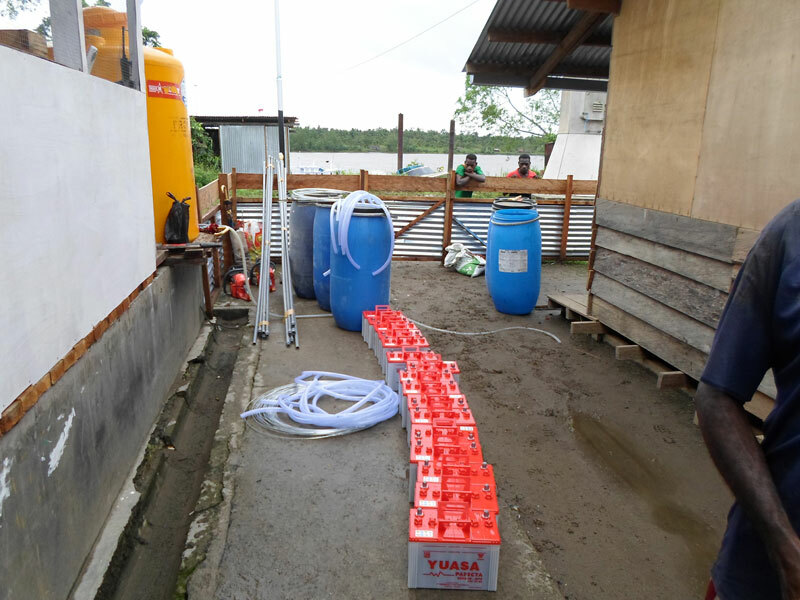 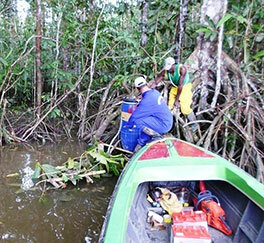 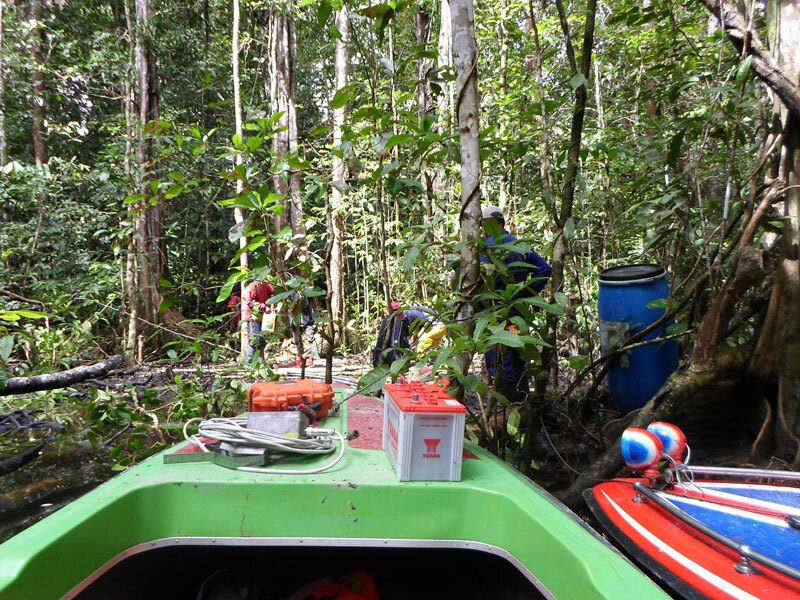 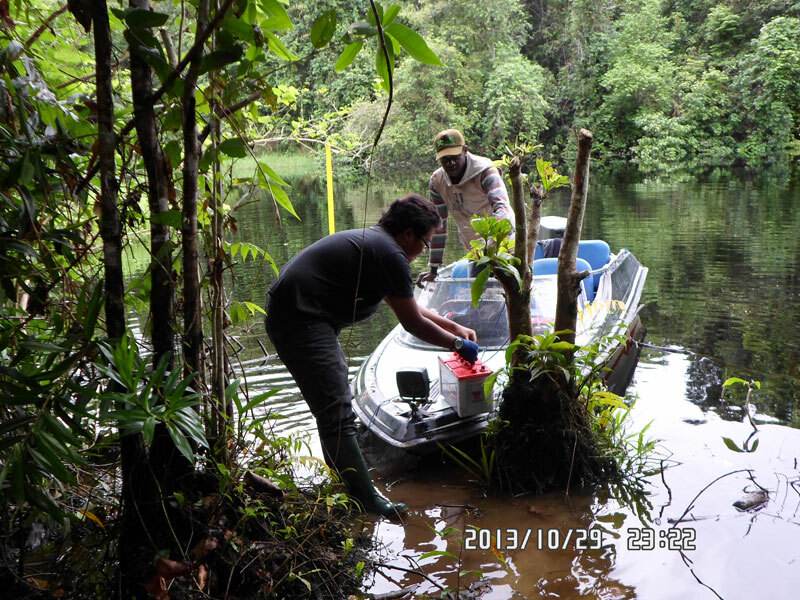 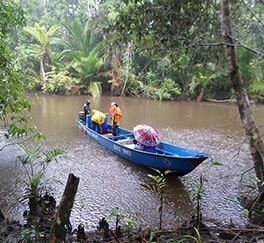 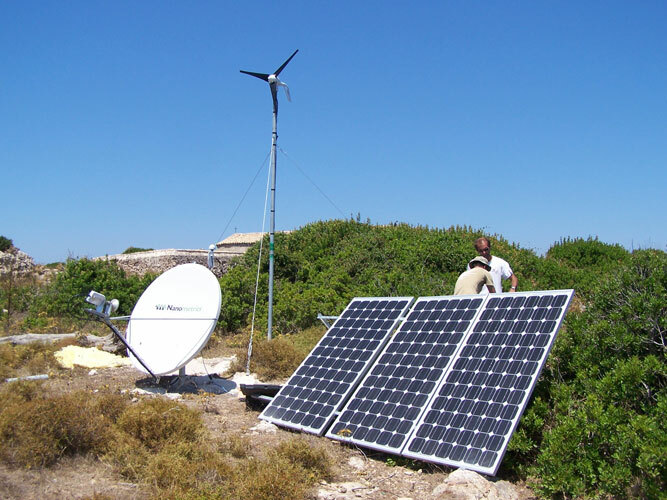 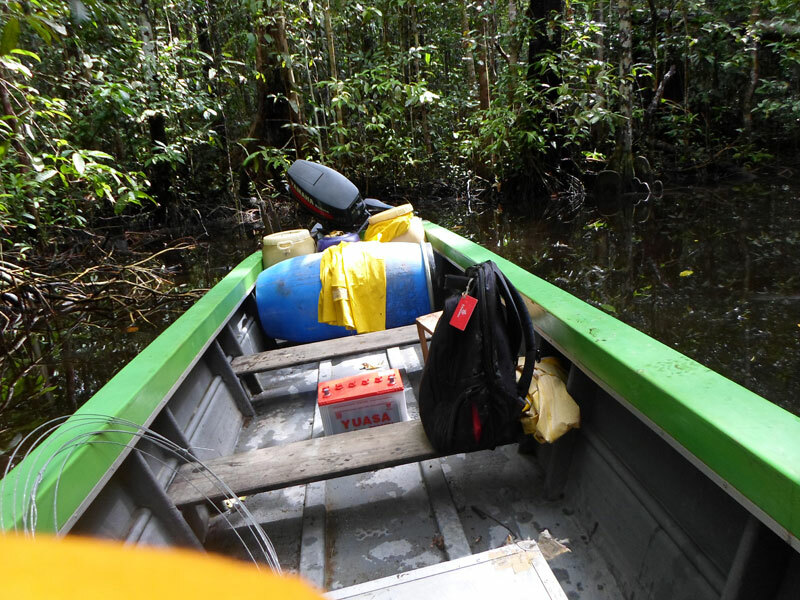 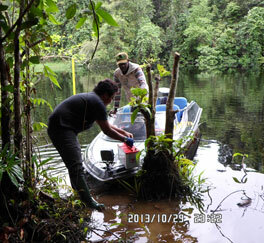 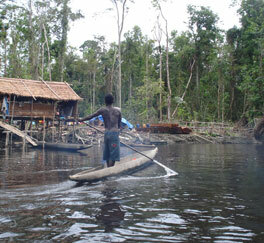 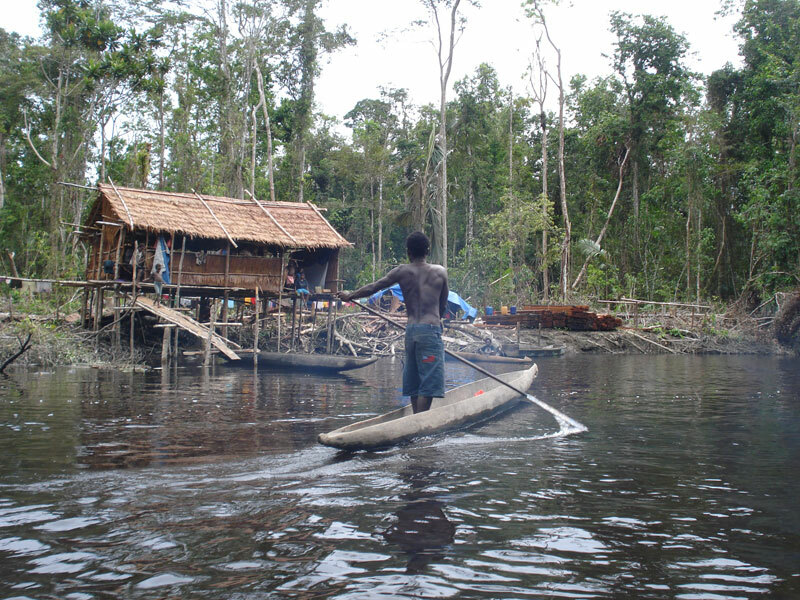 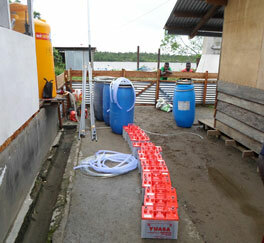 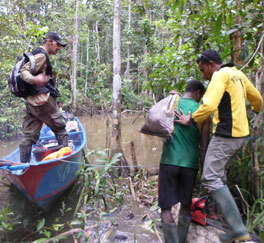 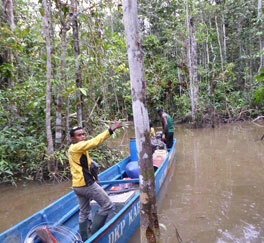 Installed seismic station in a remote region powered by solar panels and wind generator. 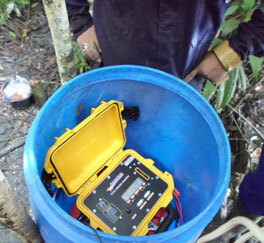 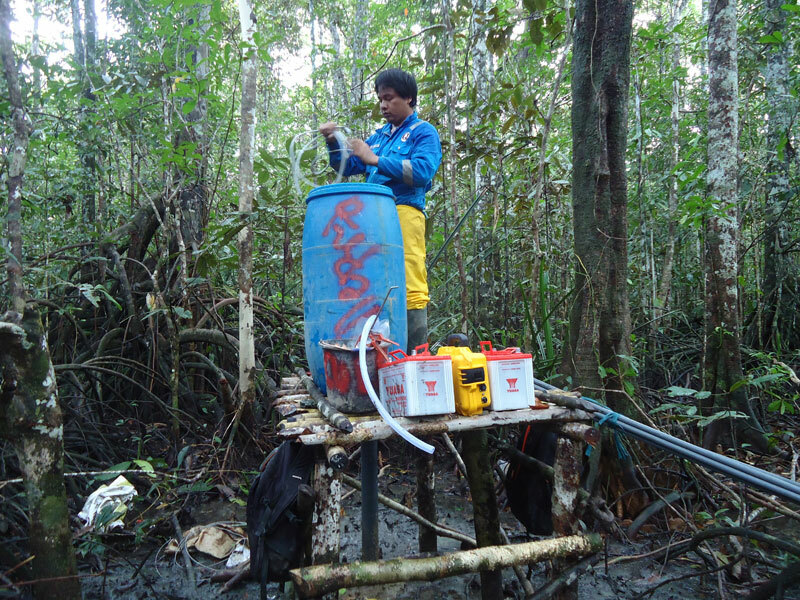 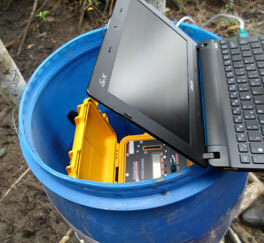 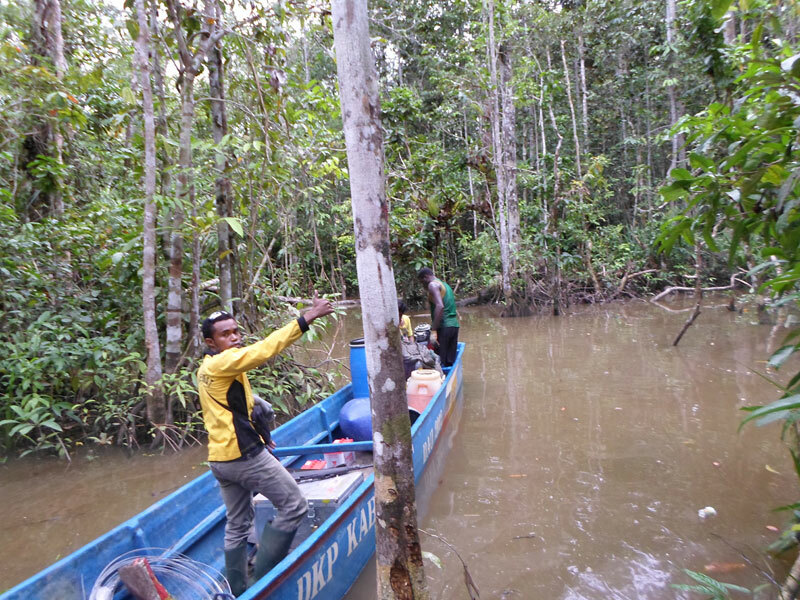 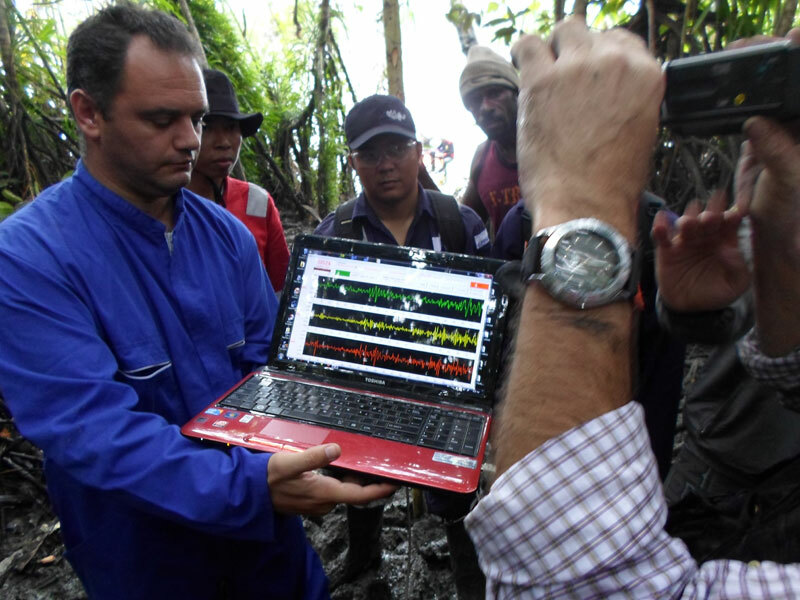 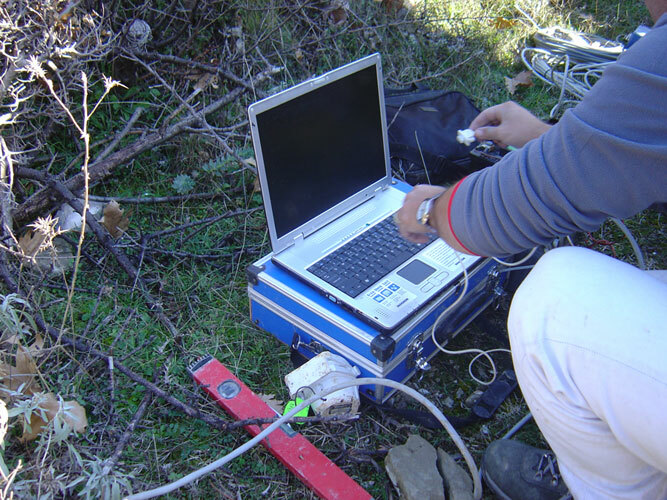 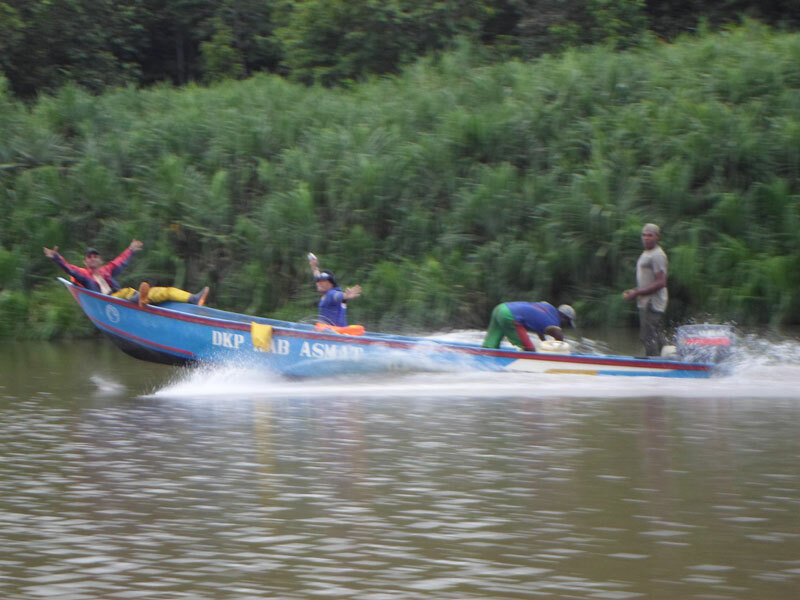 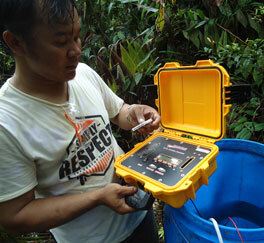 Testing the response of S100 seismometer in the field. 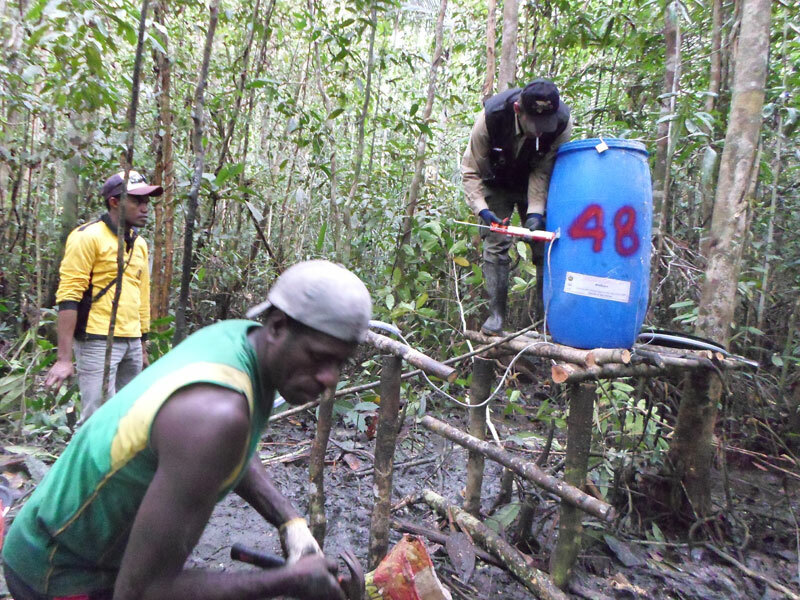 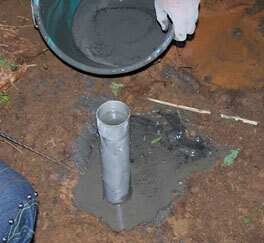 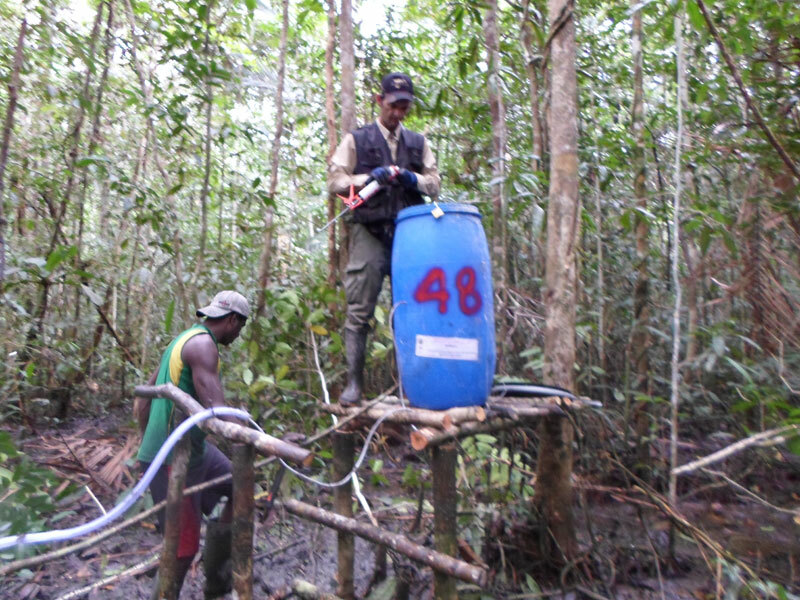 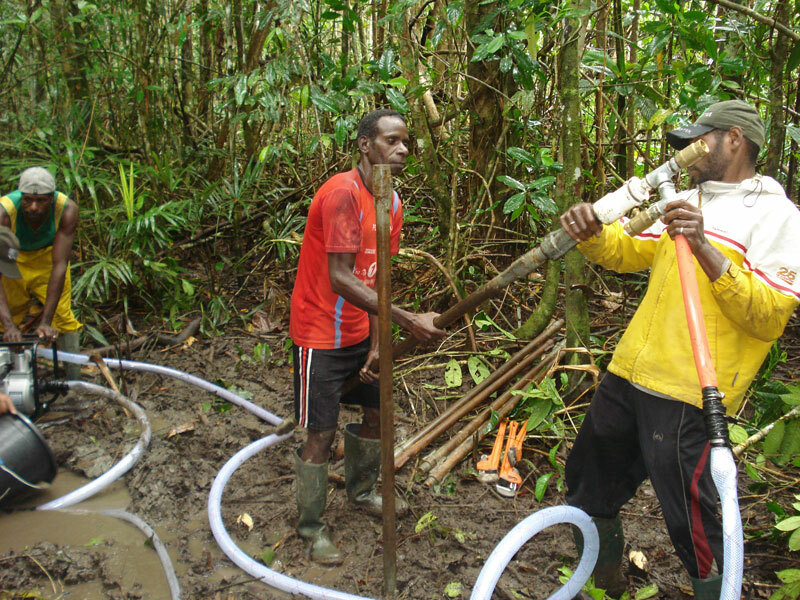 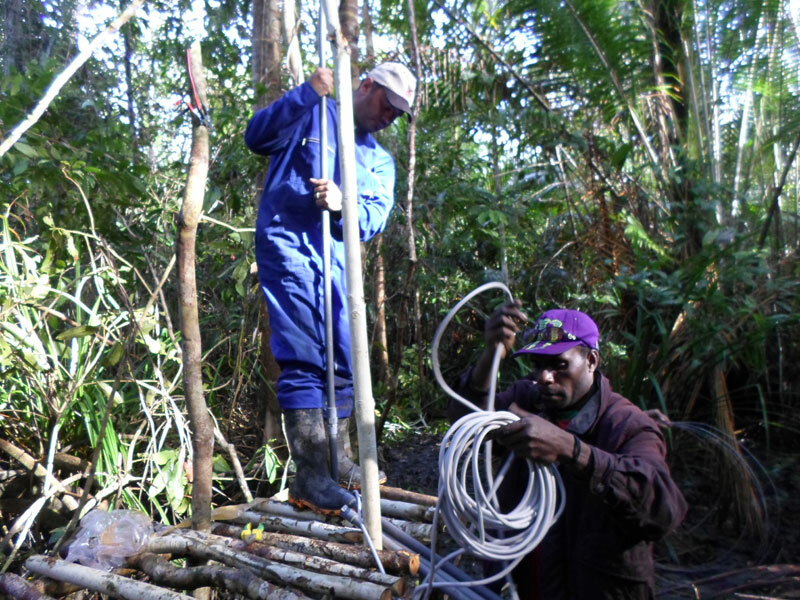 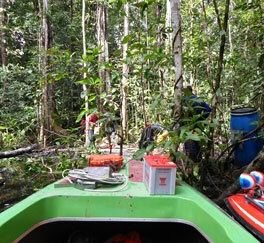 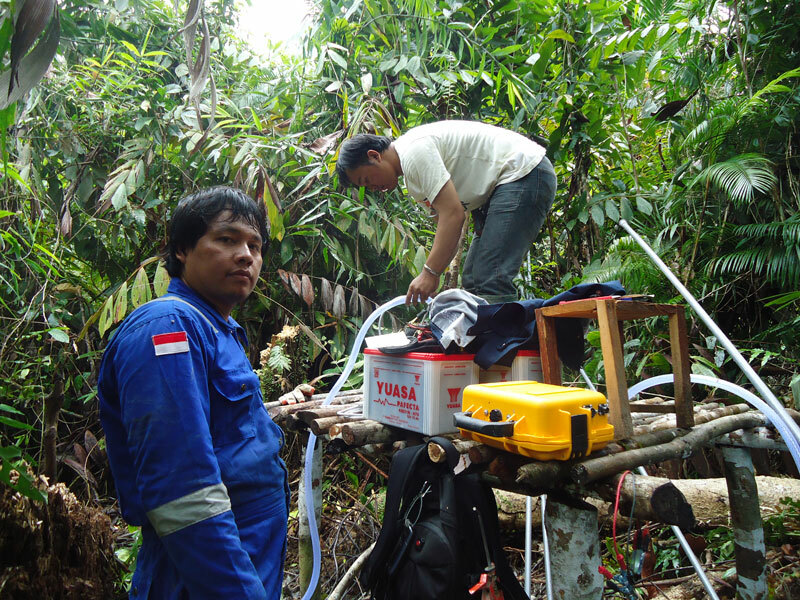 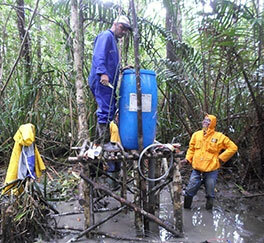 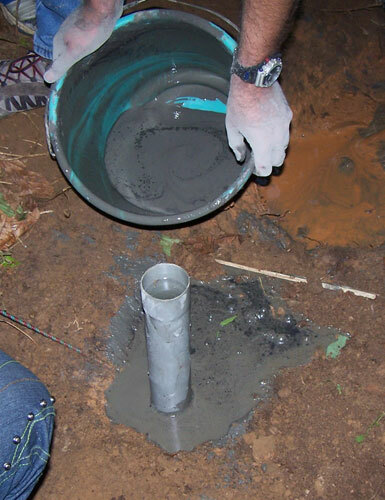 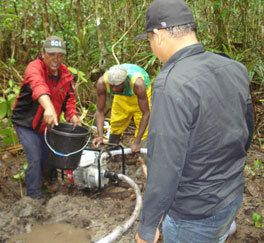 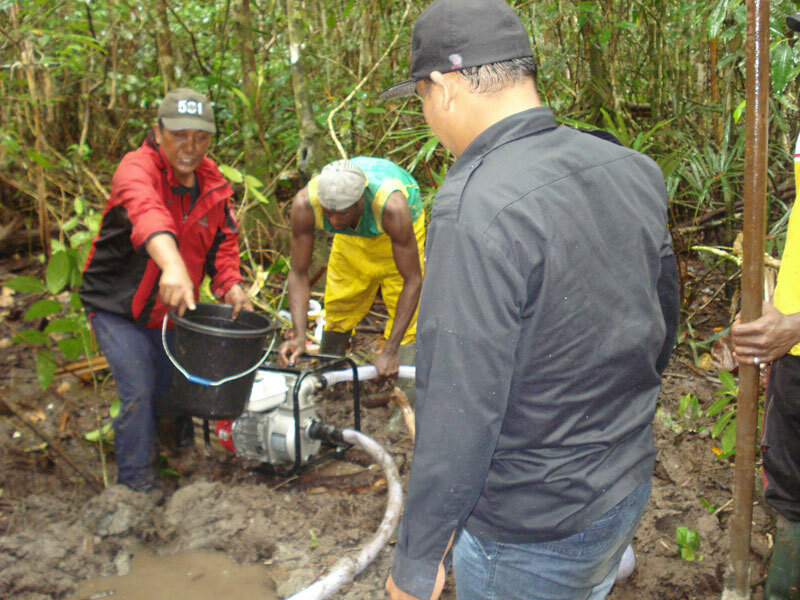 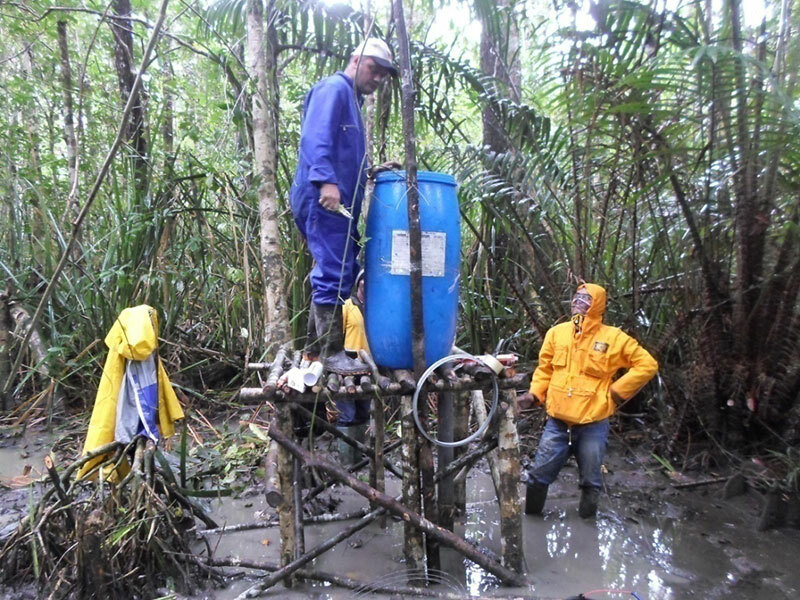 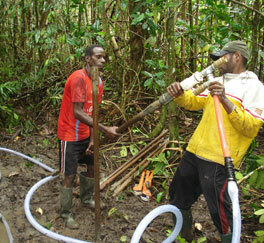 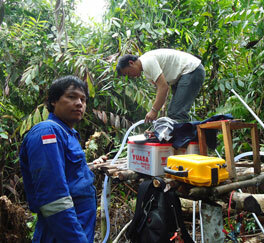 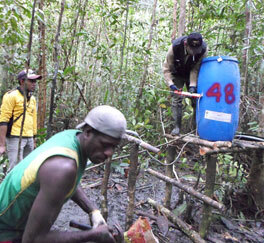 Installing the S100 seismometer in the borehole tube. 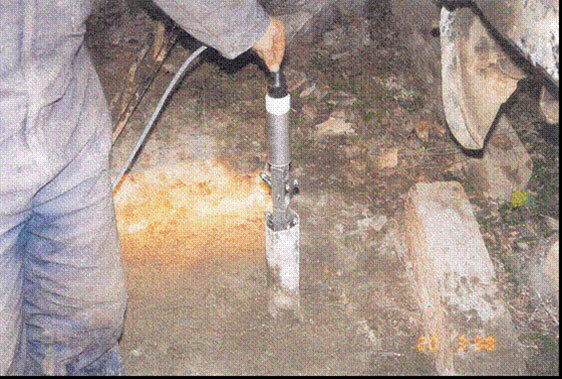 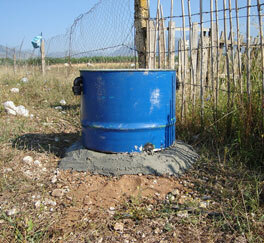 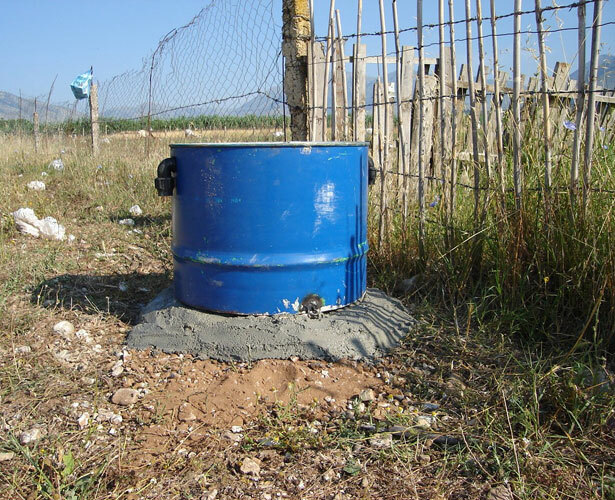 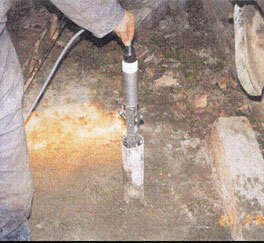 Grouping the borehole with cement slurry. 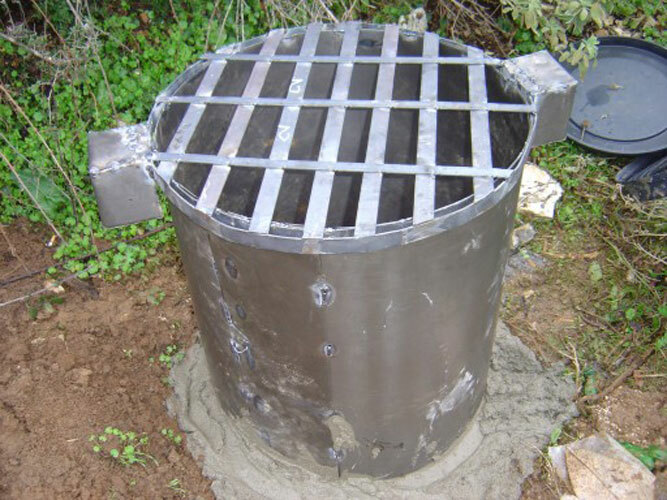 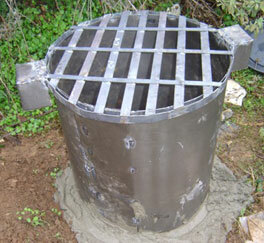 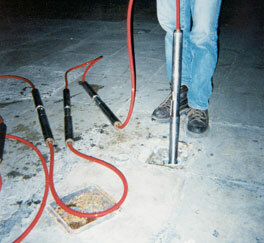 A seismic vault with locks to protect the equipment. 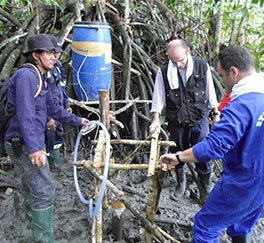 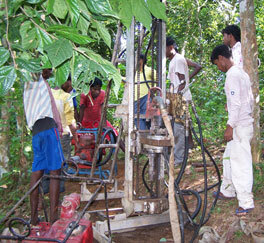 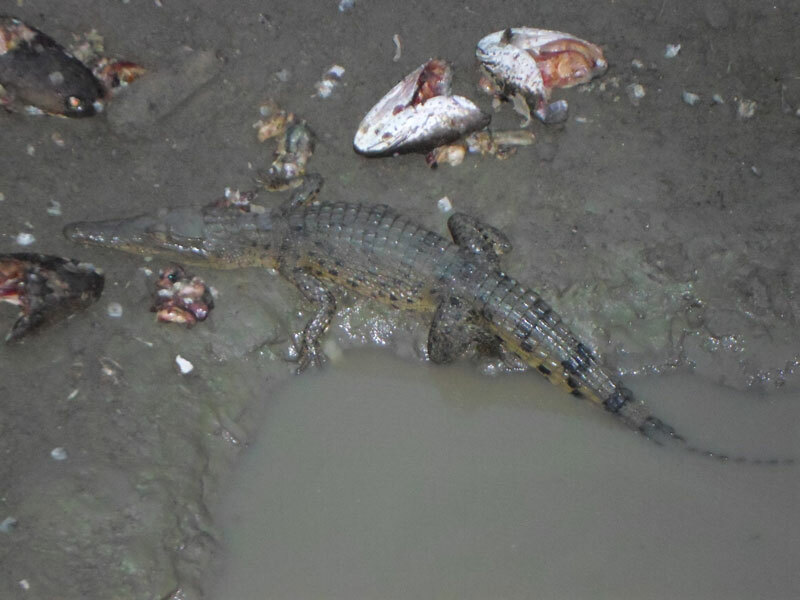 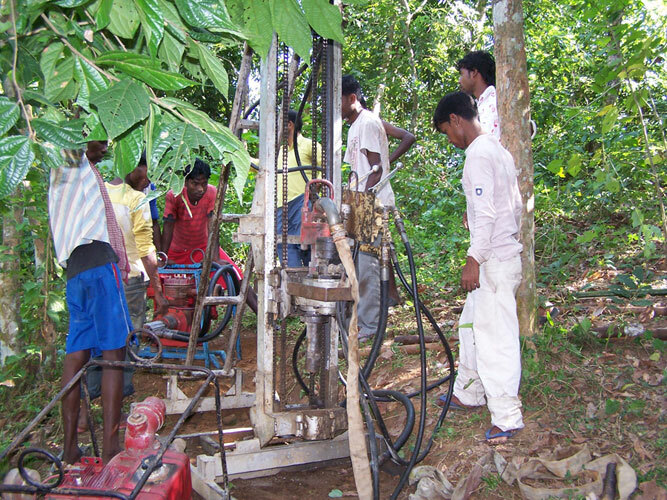 Drilling a 20m seismometer borehole in Assam – India. 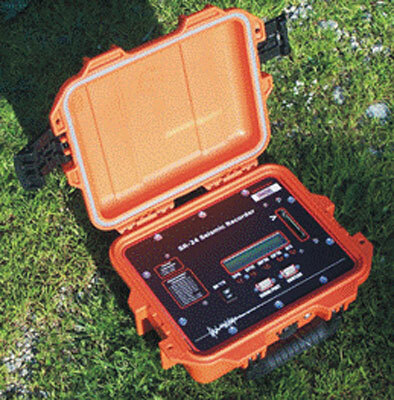 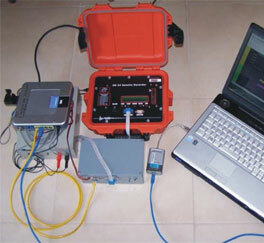 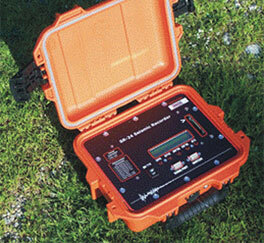 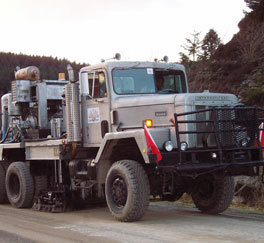 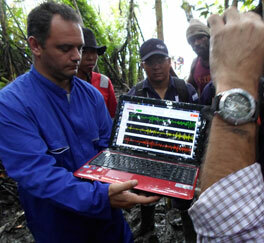 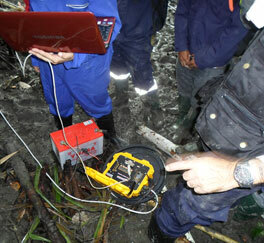 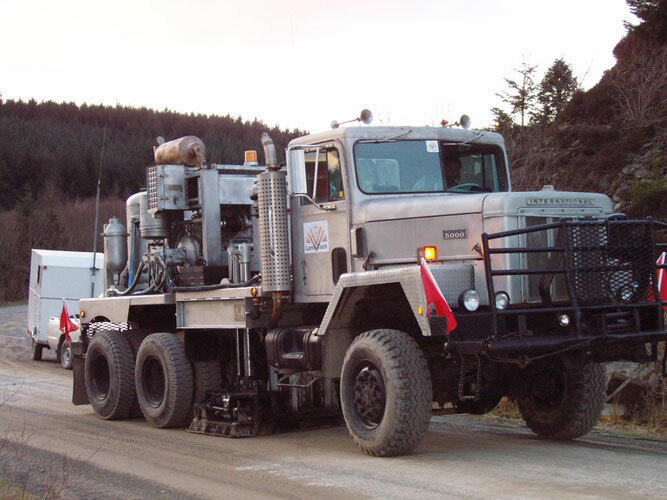 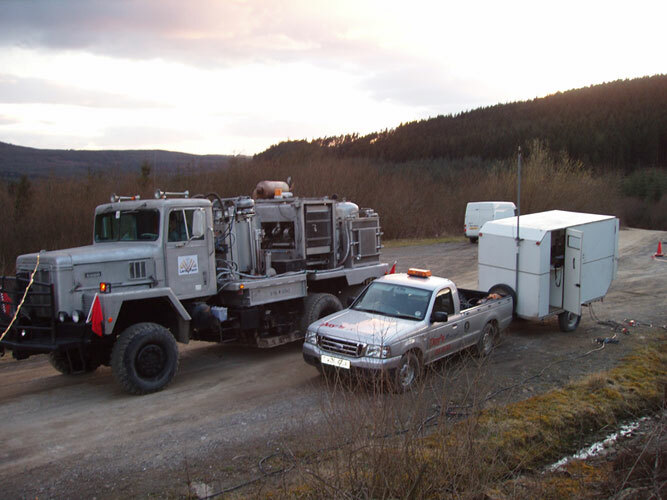 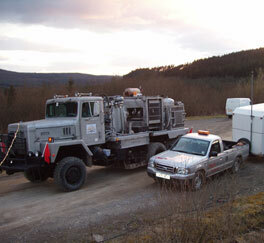 LandTech’s Vibroseis and recording unit during a wide angle seismic survey. 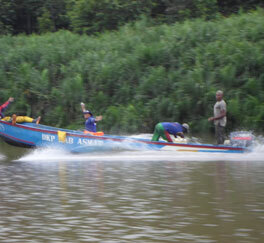 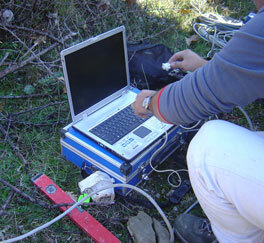 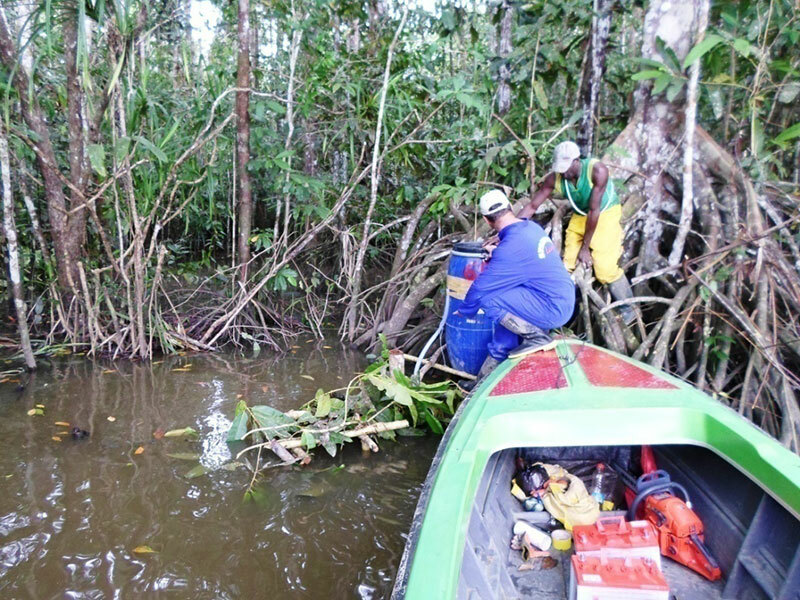 Vibroseis during a seismic survey. 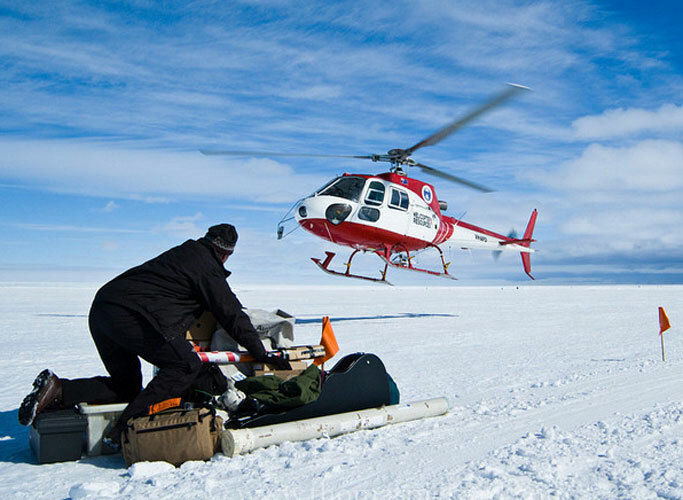 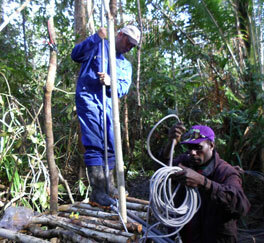 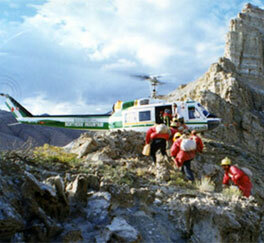 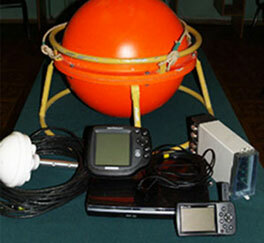 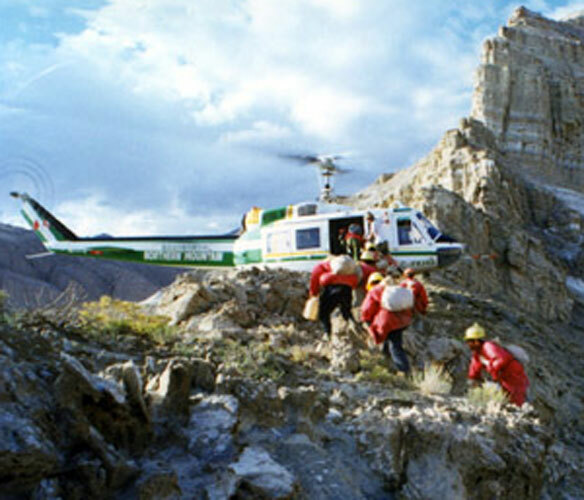 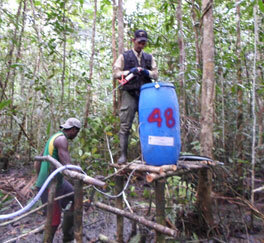 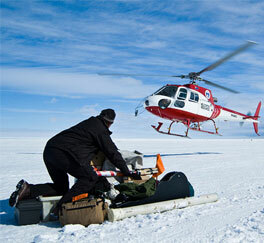 Installing a seismological station in a remote place in Mozambique using a helicopter. 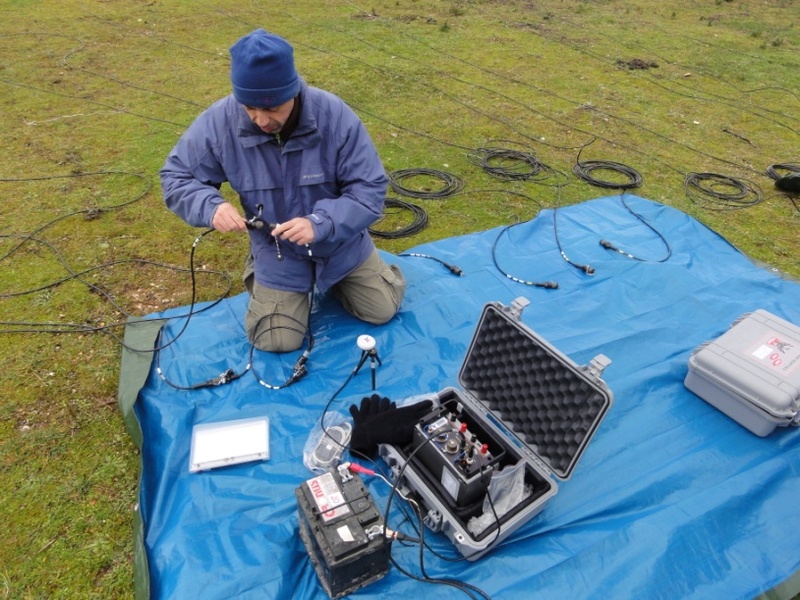 Prepairing a PST station in Alaska. 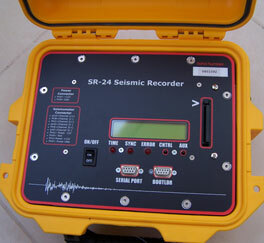 Another view of the SR24 digitizer. 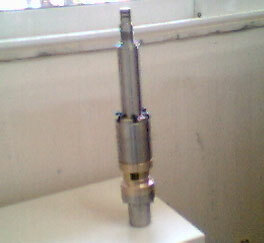 An OBS version of the SR24 digitizer. 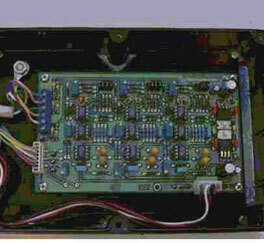 The internal of S100 amplification and signal conditioning unit. 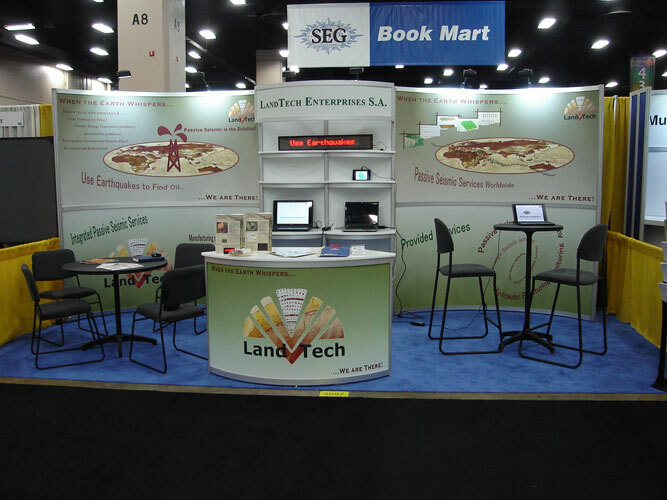 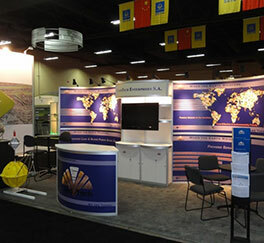 LandTech’s booth during the SEG 2011 exhibition and Conference meeting in St Antonio – USA. 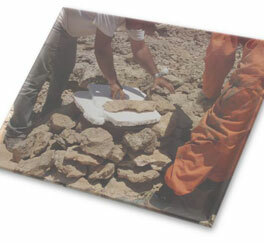 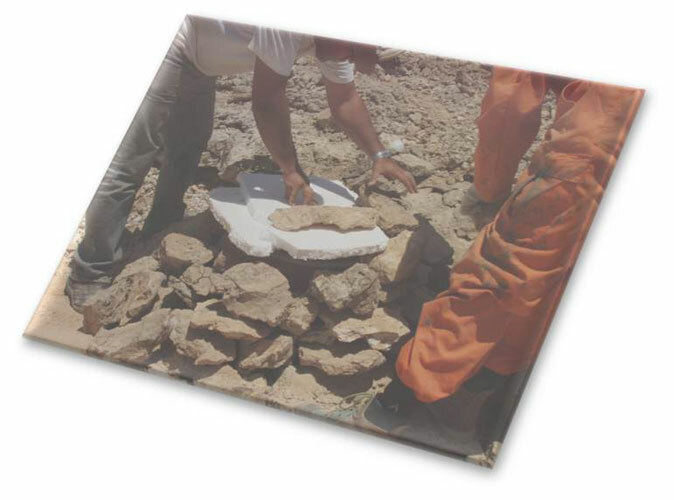 Hiding a seismic station in Yemen to protect it from vandalism. 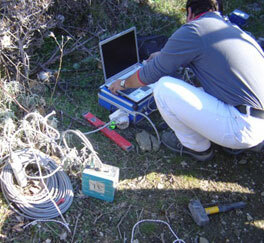 An unstable region found by seismic tomography along the rute of Athens Metro. 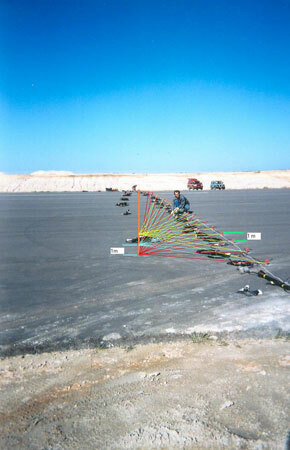 Uphole seismic tomography across an airport. 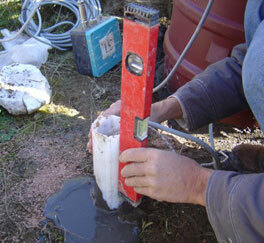 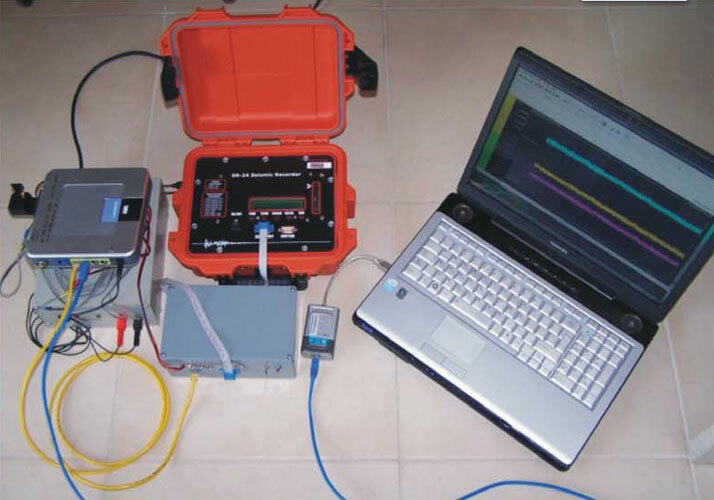 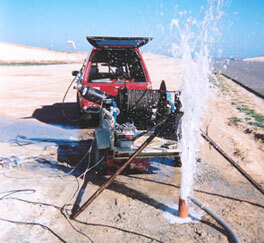 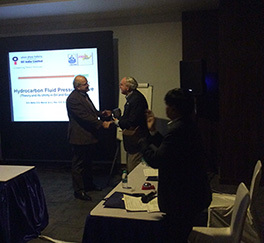 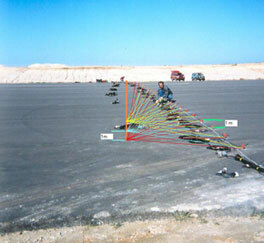 Generating seismic waves with LndTech’s borehole airgun. 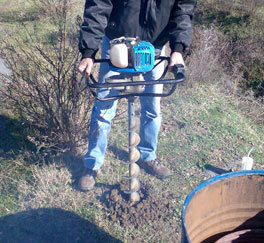 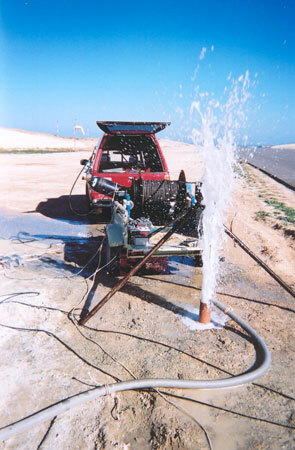 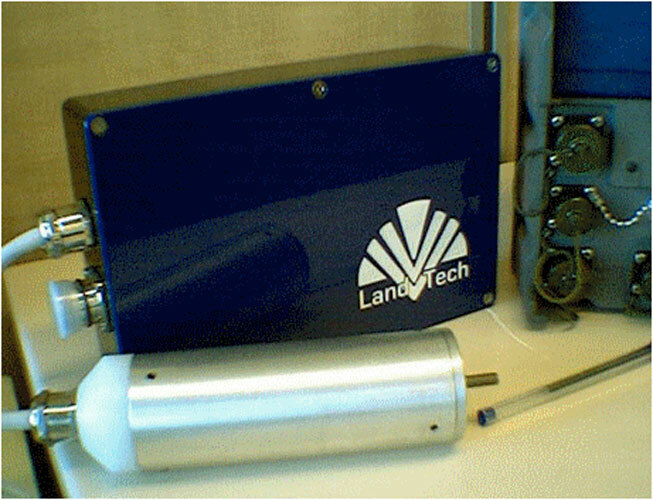 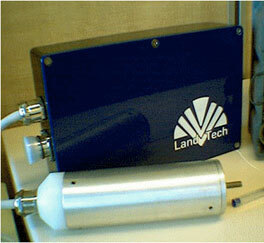 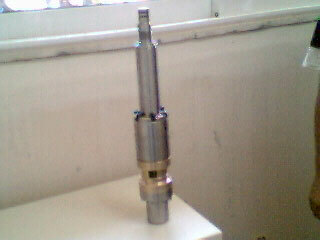 Mini airgun designed and constructed by LandTech to be used as borehole seismic source. 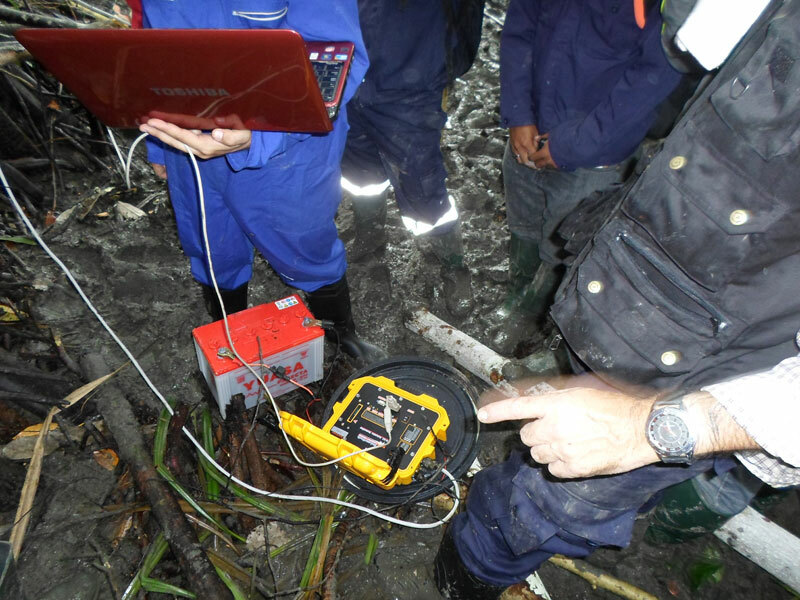 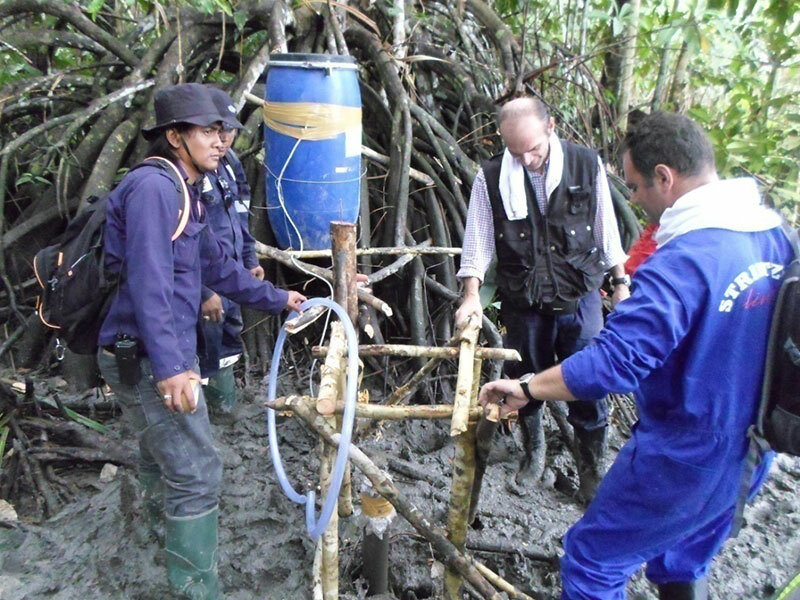 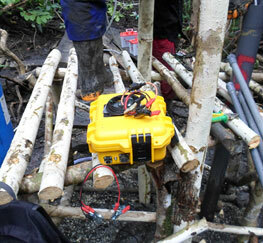 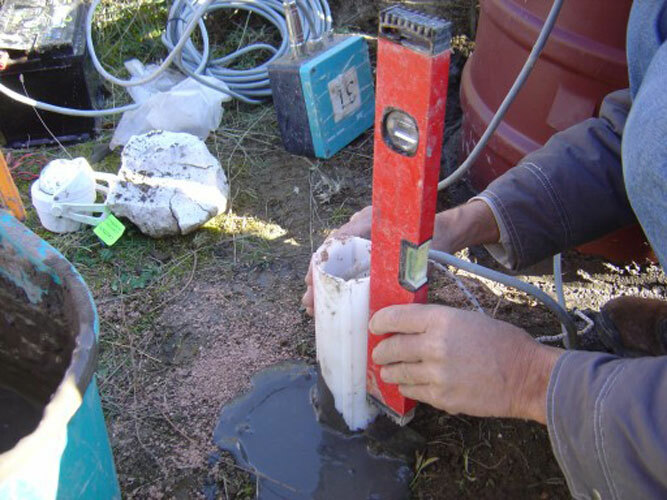 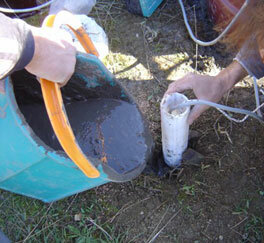 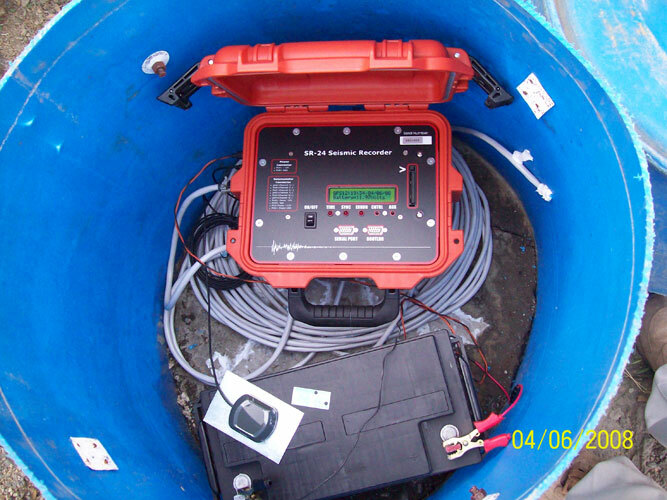 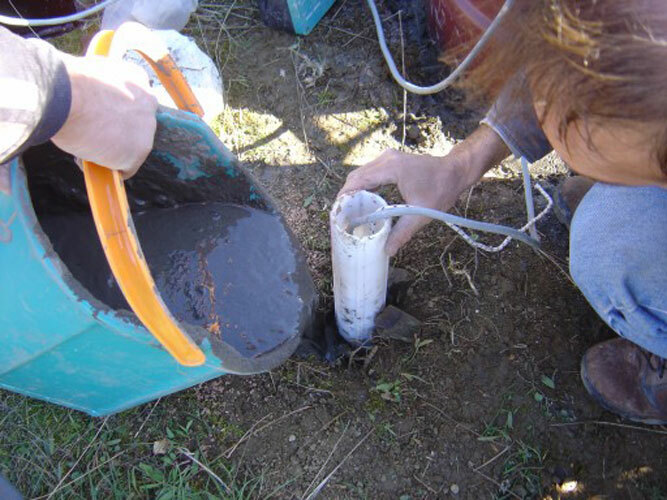 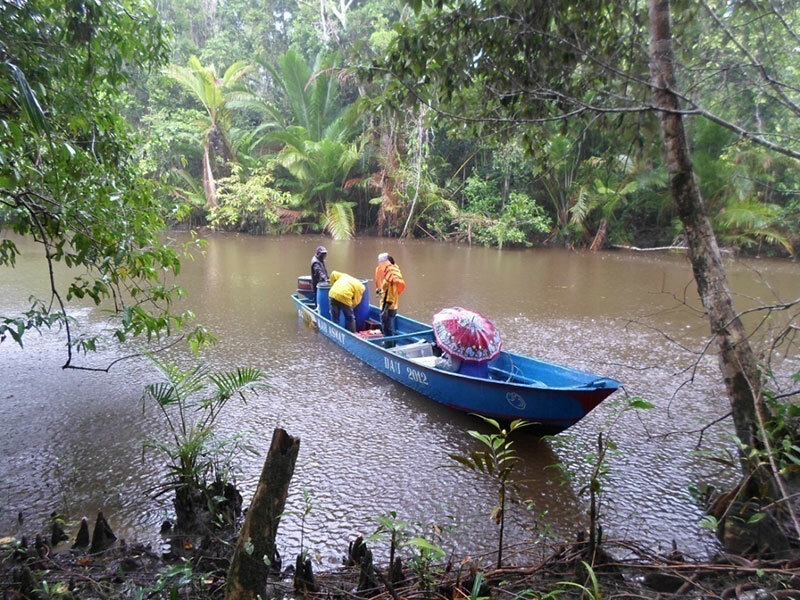 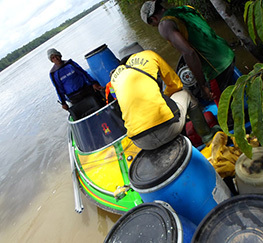 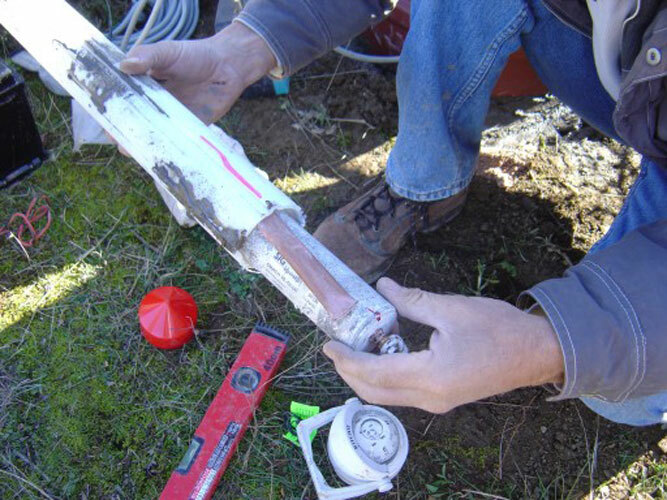 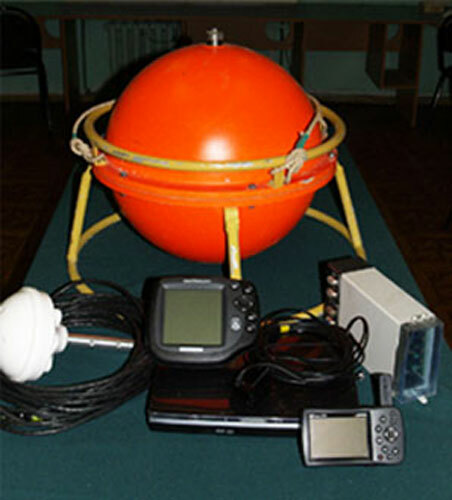 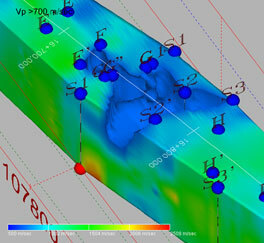 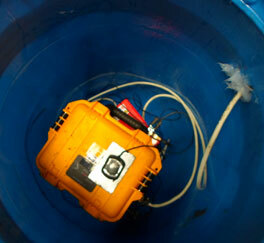 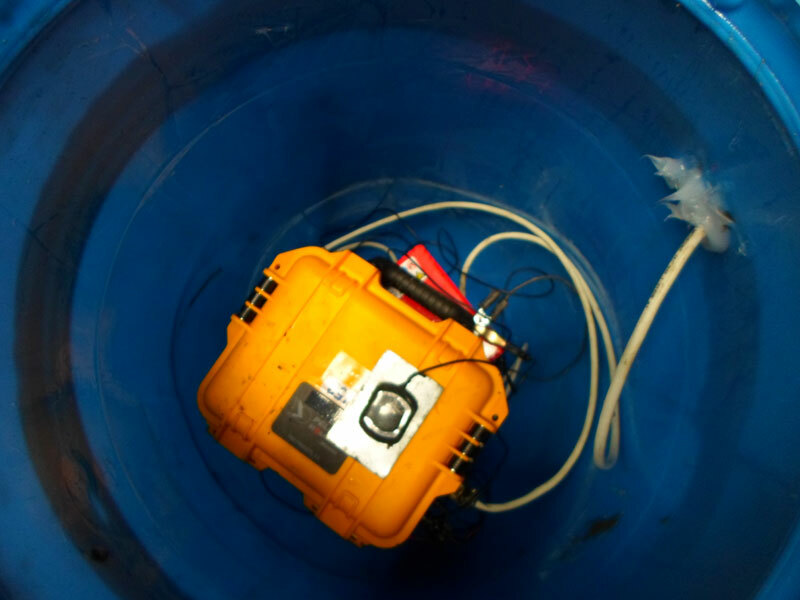 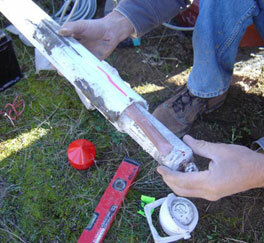 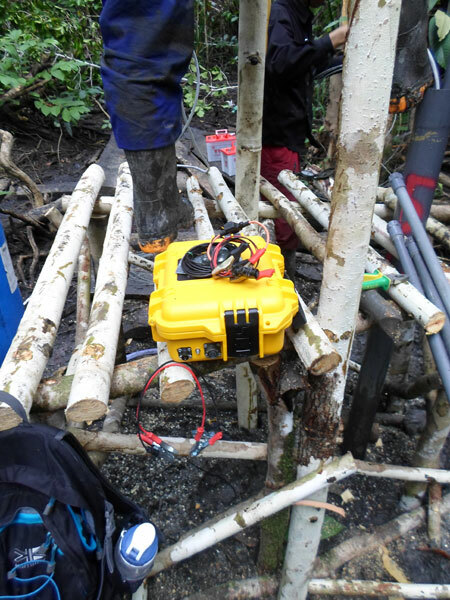 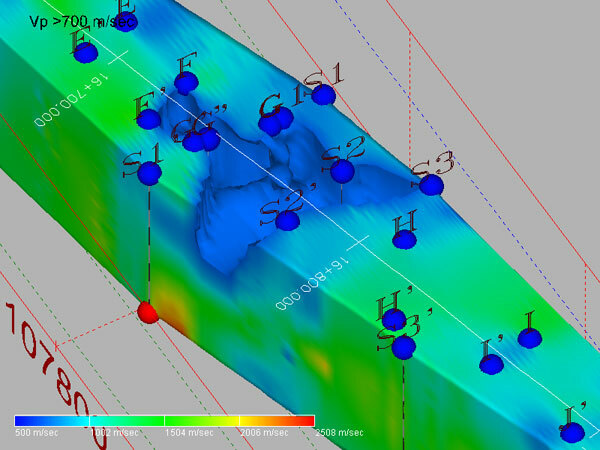 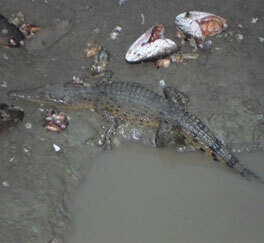 Hydrophone stream used during a crosshole seismic tomography survey. 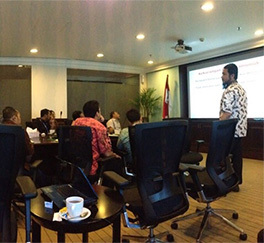 PST presentation at Pertamina and Indonesian Oil and Gas Authority. 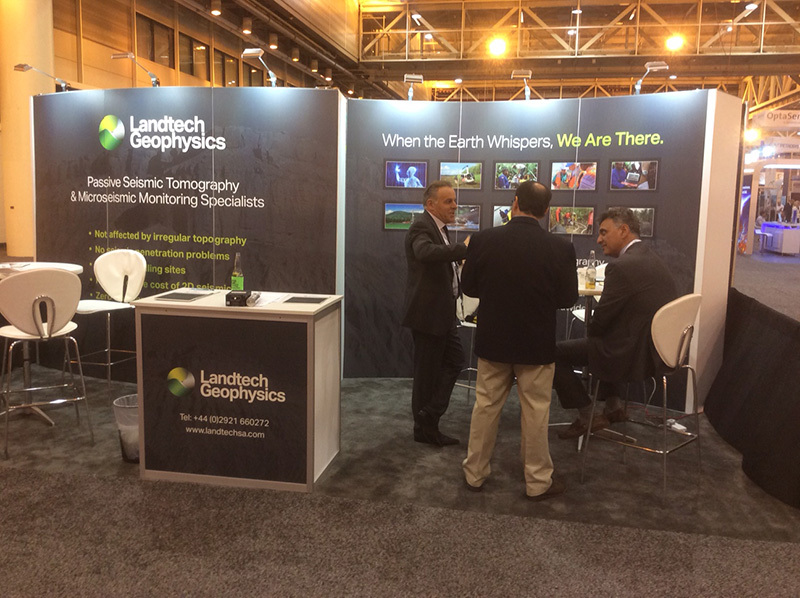 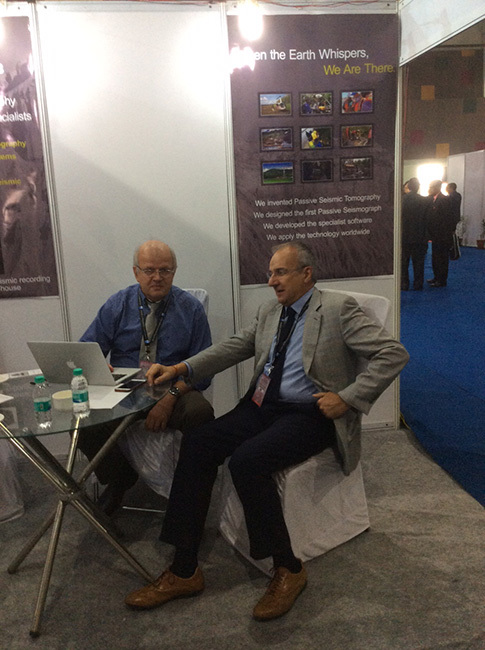 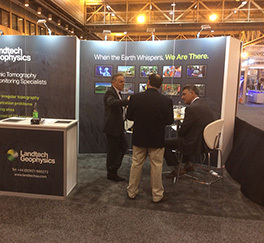 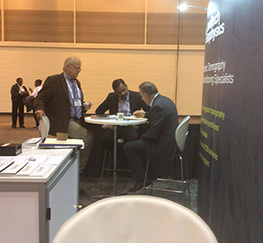 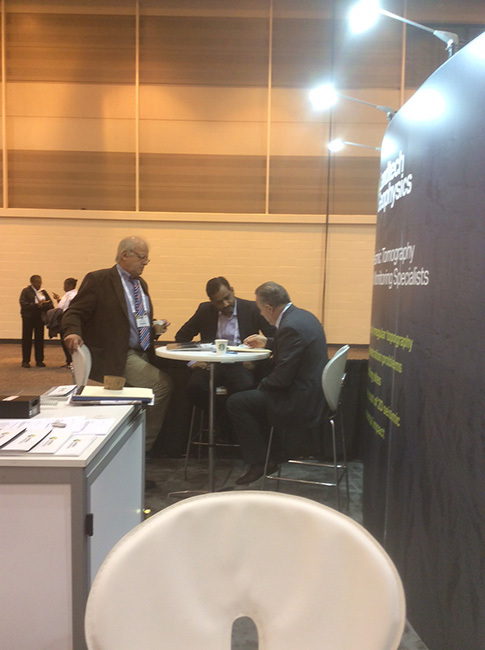 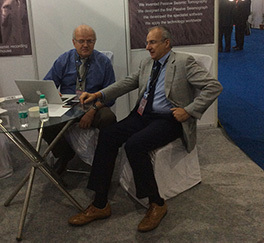 LandTech’s Dr. S. Kapotas (left) at SEG Oct, New Orleans exhibition booth. 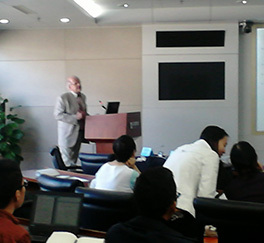 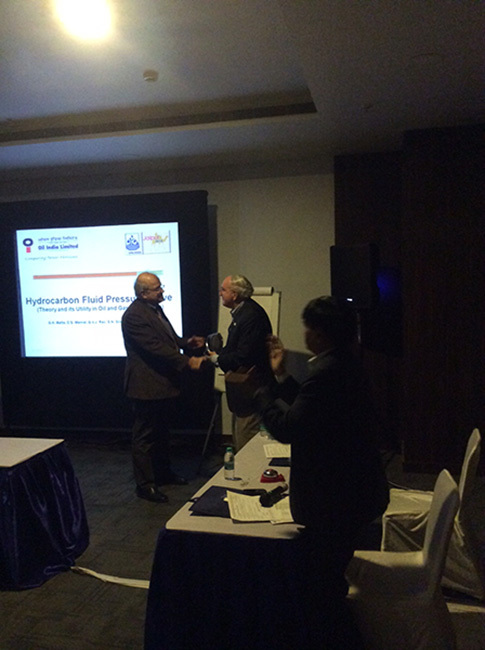 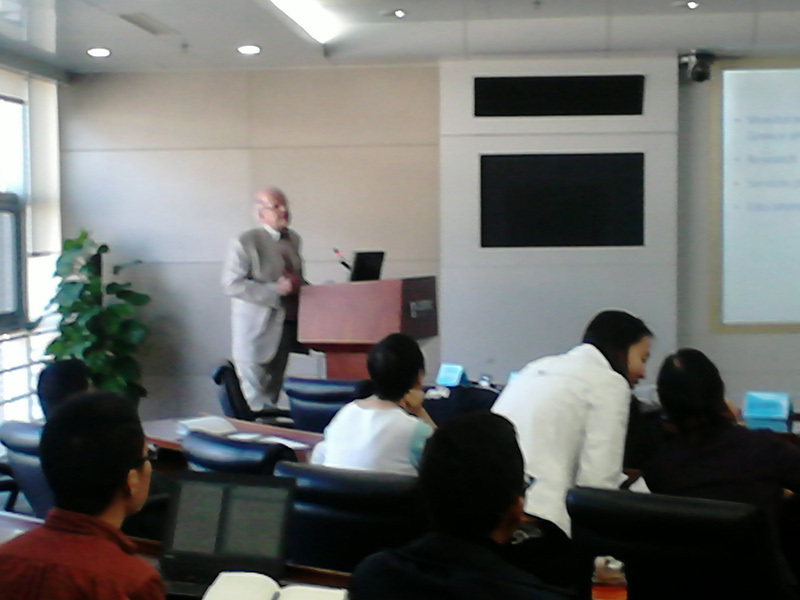 Prof. Tselentis, principal scientific advisor of Landtech presenting the intricacies of Passive Seismic Tomography at a group of Geophysicist of the Chinese Seismological Center, at Beijing, Nov. 2015.